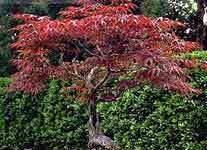 The following plants are suitable for creating a Japanese garden, or to add an exotic touch to your existing landscape. 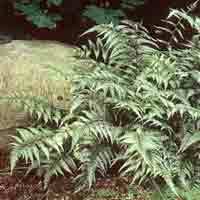 Many exotic plants are hardy enough to be planted in outdoor landscape. Landscape plants help to purify the air and add coolness to their surrounding. They can also be used as noise or privacy screen, and to create relaxing sights for you to enjoy. Planting these trees and shrubs will be one of the best long-term investment you ever made to improve life. See details for each plant below. This magnolia is hardy to zone 5, and is suitable for locations with full sun or partial shade. It blooms n late spring to late summer. The fragrant 4-inch-wide flowers have pure white petals and rose-red stamens . Grafted on European-pear rootstock to survive the winter in zone 5 (zone 4 for some varieties). 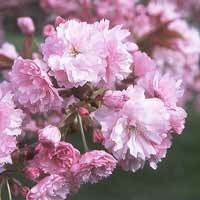 It takes 6 years to produce the grafted tree, which can bloom on first or second year after planting. Very ornamental in the landscape with white flowers in Spring and yellow fruits in fall. Hardy to zone 3, -34 C . A very interesting berry plant with 'buble-gum' aroma in its fruits and leaves. Dark shiny green leaves, pinkish white flowers followed by scarlet red berries that are pleasant-tasting, enjoyed by both people and wildlife! The plant is also known as Teaberry because American revolutionists used the fragrant leaves as one of their tea substitutes while boycotting English tea! The leaves also produces an essential oil used as flavor for chewing gum. Wintergreen oil contains methyl salycliates, the active painkilllers of asprin. This perennial plant grows to 5 or 6 inches tall, making a good evergreen ground-cover. Prefers moist acidic soil in wood-land conditions, with morning sun. Japanese Banana - Originated in Japan, this is the hardiest of all bananas. This species has been planted in Canada and has survived many winters. Rare and unusual ! 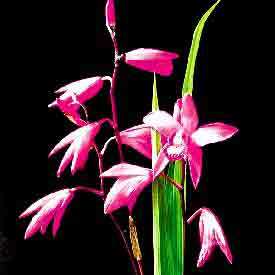 Hardy Orchid - These ground orchids can survive the winter with some protection (mulching). Long-lasting flowers. This species is considered a 'living fossil'. It was thought to be extinct until re-discovered recently in a remote, isolated mountain region in China. 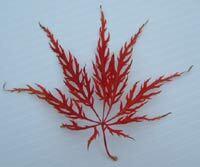 Fine leaves are bright green in spring, turning bronze in autumn. The leaves are so fine, there is no need to rake when they fall off. A beautiful specimen tree! Tree Peony, Japanese Peony (Mẫu Đơn) - Gorgeous flowers on beautiful 'trees'. Stiff branches help to hold flowers up, unlike Bush Peony. Flowers opens earlier than Bush Peony. This is the beautiful flowers being depicted on famous Chinese paintings. 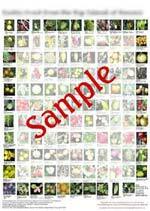 All plants are grafted in Japan or China. Choose from Red, Pink, Light Pink, Purple,White, or Yellow. We have many species of hardy bamboo that survive the winter here in zone 5. They come in many shapes and sizes to fit any landscape design. 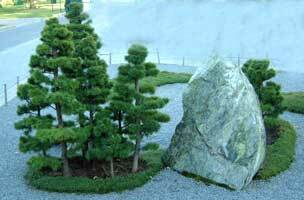 A very artistic addition to your Japanese garden, or to any garden setting. An extraordinary flower, the lotus is sacred in Hinduism and Buddhism. Contrary to popular belief, lotus is winter hardy, and survive in the wild even in zone 4, as long as the tuber does not freeze. Dwarf lotus can be grown as a pot plant. The large bloom, lasting 3 to 6 days, is strikingly beautiful and exotically fragrant. Plants go dormant in winter, best kept in a garage. One of the earliest flowers to greet Spring are these gold-yellow flowers. 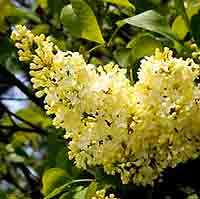 - These beautiful flowers put up an impressive show in spring, when masses of pink or white flowers cover all branches even before foliage emgerges. This is one of the many species of Japanese Flowering Cherry displayed at the annual Cherry Blossoms Festival in Washington D.C.
Ginkgo Biloba (Bạch Quả, Pak-wa) - Attractive fan-shaped leaves densely cover branches of this pre-historic tree, the few species survived since the dinosaur age. Excellent for Bonsai. Fruit contains pac-kwa, a delicacy in the Orient. Hardy to zone 3. Honeylocust 'Sunburst' (Lá Me) - A very nice specimen tree with zig-zag branches and bright-green foliage in spring, lasting into early summer. Fine double leaves turn bronze in fall. The small leaves decompose into the lawn, no raking required! 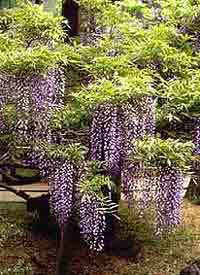 Chinese Wisteria (Tử Đằng) -Beautiful foliage, and beautiful flowers in spring. Japanese Juniper () -Very popular for bonsai, yet hardy enough to survive winter outside. Many sizes and styles. Please inquire. Ornamental Grasses (Cỏ Lúa) - Interesting shapes and colors. Foliage remains attractive even when snow starts to fall. Japanese Quince (Mai Nhật, Mai Đỏ) - Dwarf, flowering quince. Deep red flowers. Yellow Lilac () - Primrose: An unusual lilac with yellow-cream flowers. Very fragrant! 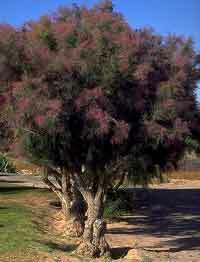 Fine needle-like foliage with pink-red flowers at branch top. Exotic look!